Jona, Switzerland: – Dry granulation expert Gerteis has revitalized its online presence with a re-engineered and redesigned website, which went live in time for Christmas. The redesign is focused on allowing Gerteis customers and potential clients faster and more direct information about the company’s portfolio of roller compaction solutions, including product details, case studies and latest news. The dual language German and English website at https://www.gerteis.com/ has also been engineered to allow easier mobile browsing from smartphones and tablets. 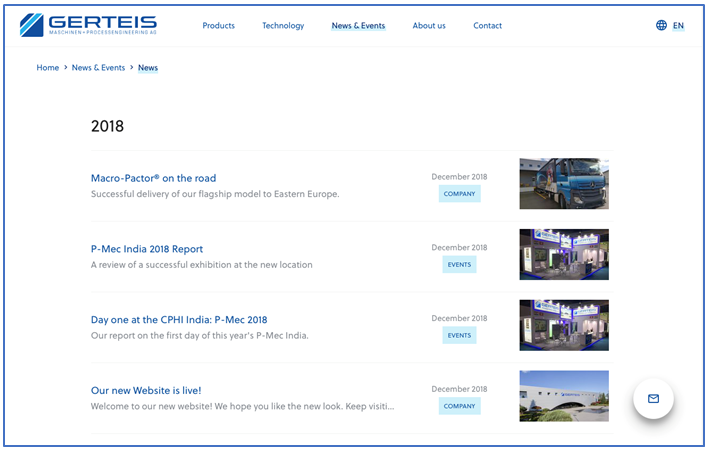 Under its theme of ‘From the idea to the market’, the new Gerteis website provides quick access to technical details and specifications of the Swiss-based company’s latest and most advanced roller compactor solutions, such as the new generation Mini-Pactor® and Macro-Pactor® and their scale up potential. It will also allow the company to track web traffic metrics more easily as part of an overall program to boost its online presence. Gerteis has already announced new site details to its existing customers and followers on social media. “We hope our new web presence will make it much easier and quicker for our customers to find exactly the information they need – whether from a desktop or on the move,” Mr. Gerteis explained. “The website will expand over the coming few months as we add new content and features,” he added. Gerteis manufactures a wide range of high quality containment roller compactors that are versatile enough to process a vast range of powders, even notoriously problematic ones at both laboratory and production scales. The company’s patented technologies are widely used by the pharmaceutical, chemical and food industries. 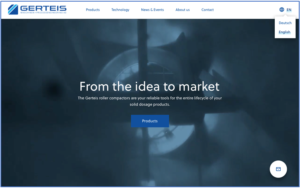 Click on Gerteis rolls out new website for more information. Click on https://www.gerteis.com/en/ to access English language version.